Yesterday my attention was drawn to several small business tax penalty issues. Several situations came to my attention where small businesses and especially home-based businesses are not aware of their requirement to file form 1099-MISC for payments they made last year. Heed this basic rule: If your business pays $600 to an individual or a law firm then you must file a 1099. This form must be sent to the vendor and filed with IRS. Filings are already past due. Do not assume that your accountant, software company or payroll service completed this requirement unless you have a specific agreement to do so. Also note that this post is an over-simplification for the purpose of discussion; the rules are more complicated and should be carefully considered. Penalties for missing or incorrect 1099-MISC have increased for 2015 and there are signs that IRS will be tough on enforcement. I have a simple worksheet to help small businesses figure out whether they need to file 1099s to vendors. The worksheet is available for free on request. If you need to file a late 1099 or make corrections, this can be done online; the sooner the better. One small business, not my client, is facing a $1+ million fine over an obscure filing requirement related to a gas and oil partnership investment. My involvement in the resolution will only be peripheral in a supporting role. You’d think they would pull all the stops to get this resolved but discussion is ongoing as to who will cover my minimal time in the project. 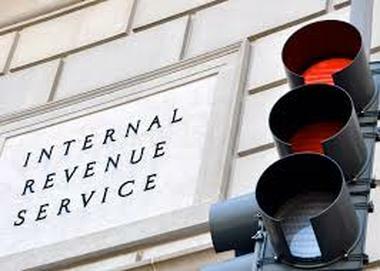 Other CPAs say that IRS is increasingly looking to boost penalty revenue. It makes sense to keep on top of requirements with an occasional independent tax compliance review conducted by a person not associated with your current service providers.